Lens tube extensions are available for many lens mounts of modern camera systems. The simplest are the macro rings. 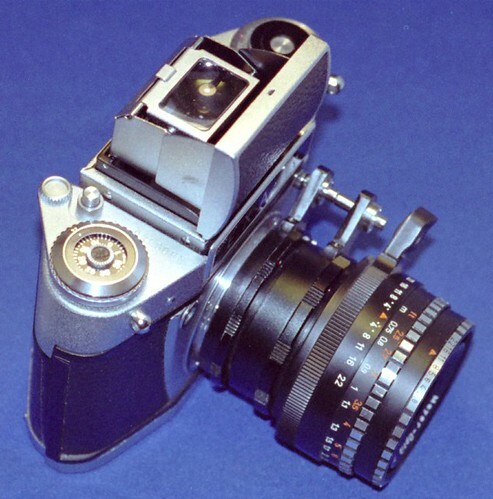 The extension can be mounted on the camera's lens mount, and then the lens on the extension's own lens mount. This construction enables the photographer to shorten the smallest distance of the image subject to the front element of the lens. plane. Remarkable: the reduced depth of field in the macro mode. 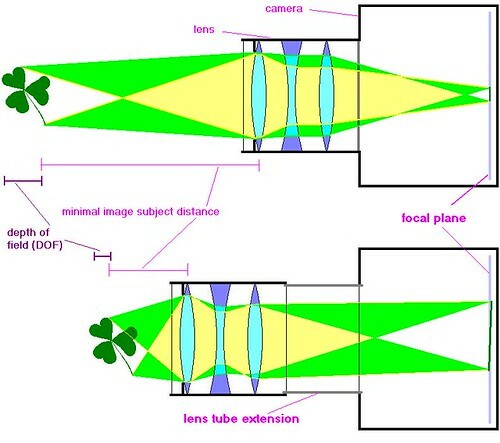 Lens tube extensions might have facilities to transmit the aperture release shift from the camera.